Modern rustic, clean lines and full of character, matching benches and end chairs provides a stunning dining experience. You know, but none of your party guests will suspect that the dining table that they've been gathering around for was actually designed for evenings with much more…chance. The Helmsley poker table was designed to blend premium poker tables with modern design lines for a piece of functional furniture that's both the centerpiece of your dining room and poker evenings. More compact than our full size ten player tables, the Helmsley is configured for 6 in a dining setup and up to 8 players in poker configuration. The table is 72" x 46" wide and the dining top, base and matching bench with chairs are all solid wood finished in a durable rustic finish. The dining top sits on pegs which do not leave marks on the poker table surface, and the dining top removes to reveal the true gem of this table. 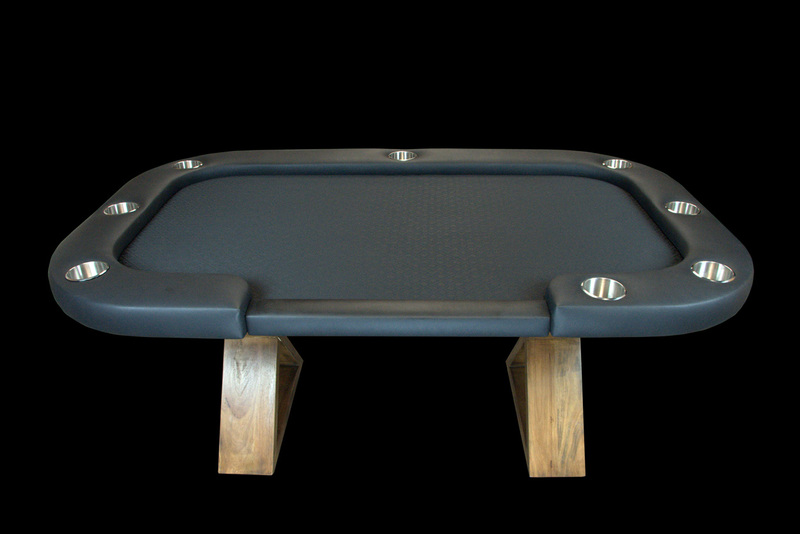 The poker table underneath is built with premium materials and design elements. 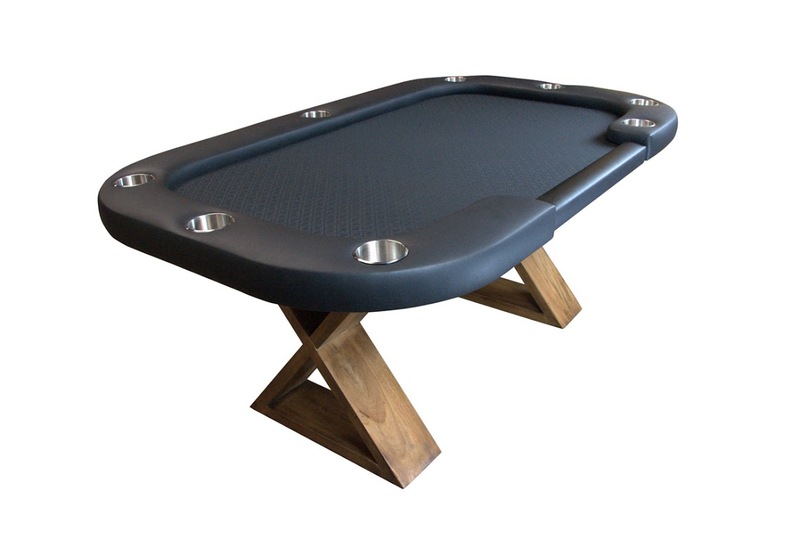 The poker table features a distinct rectangular shape with a 7" removable armrest with 4 inch cup holders, premium half inch poker foam and a conversion dealer position similar to our Premier poker table. The purpose of the conversion dealer position is that as your game progresses and players drop out, someone can take over the conversion dealer position and easily transition to a full time dealer for the remainder of the evening. The Helmsley can be customized with your choice of playing surface including suited speed cloth, armrest vinyl and hardware. Forget the notion that a poker table has to be tacky or cumbersome.The Helmsley poker table is the one that broke the mold.